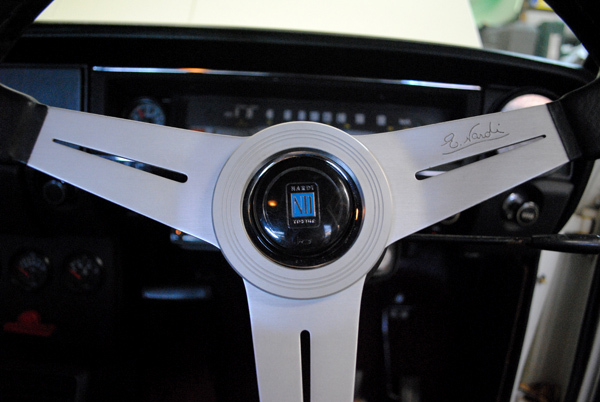 One thing that I’ve always wanted in the car was a Nardi Classic steering wheel, yet I was torn between woodgrain and leather. 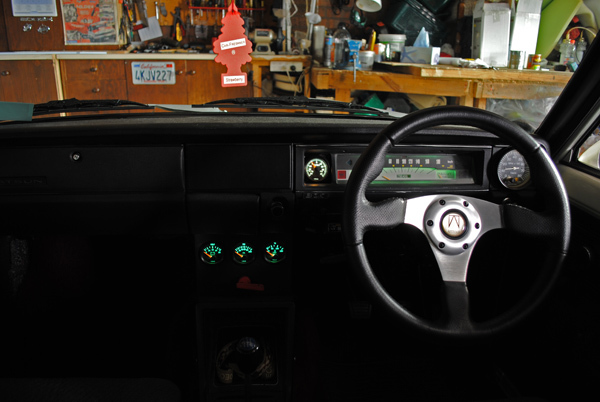 I love the way woodgrain looks, but I was never sure of how it felt. When a leather 350mm classic came up for sale at a low price, I snapped it up regardless of the material. Understandably, it didn’t come with a horn button or a trim ring, so my hunt wasn’t quite over just yet. 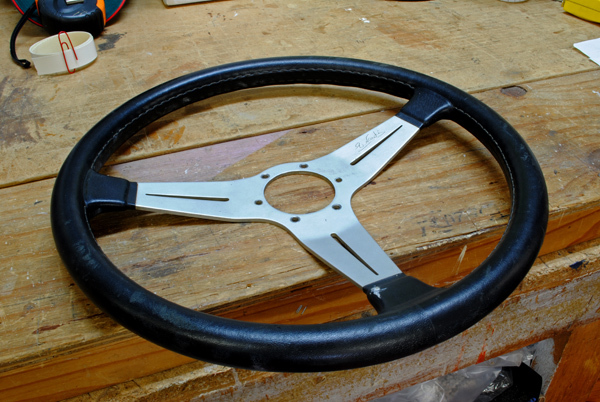 The wheel that came with the car was an Autotecnica item based on a Momo design which was very popular in the late 90’s. 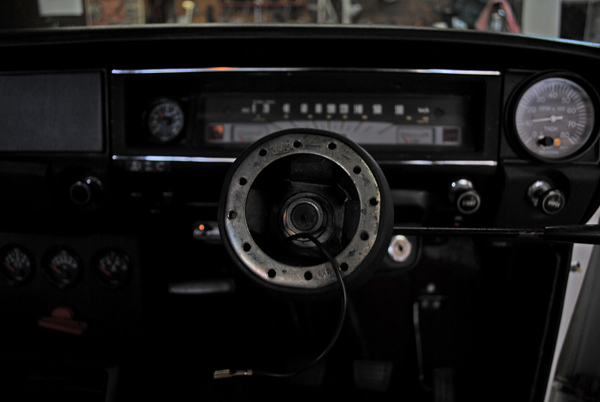 Here is the Nardi as it was delivered, no rips, tears, dents or scratches, just some worn leather and in need of a bit of a clean. A very handy similarity between Nardi & Autotecnica is that their boss-kits use the same bolt pattern, so a new boss wasn’t needed. 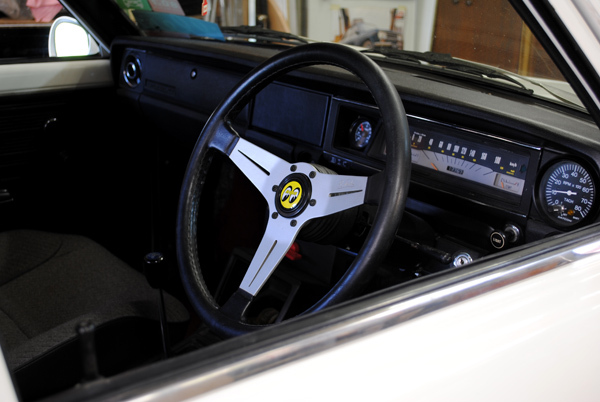 For the sake of getting the wheel on the car, I used my old horn button and slapped a Mooneyes sticker over the logo. 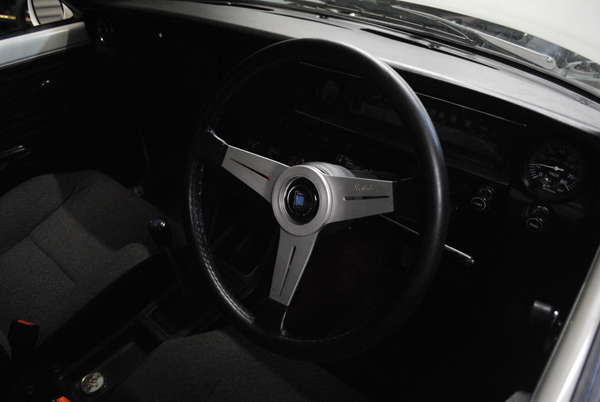 I was happy to be steering with the perfectly round design of the Nardi, but the look wasn’t quite right yet. 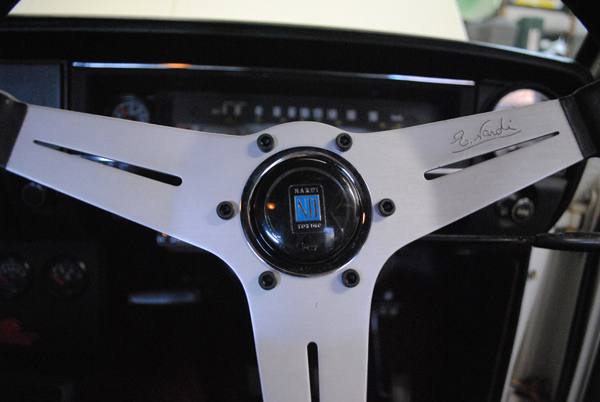 After a bit of searching, I found a horn button & trim ring thanks to Dan from OzDat. 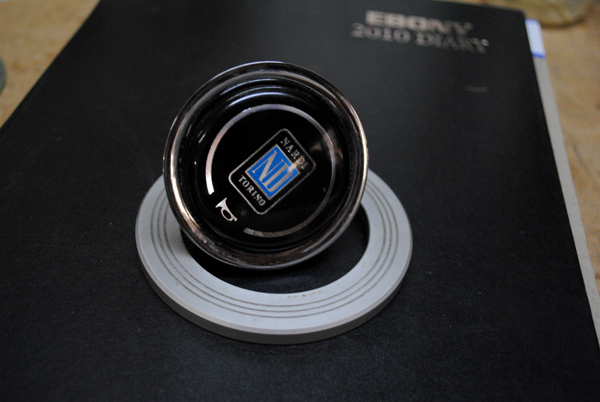 Unfortunately, the metal spacer that sits between the wheel and the boss was too small to house the Nardi horn button. I guess the similarities between the brands ended with the boss kits. 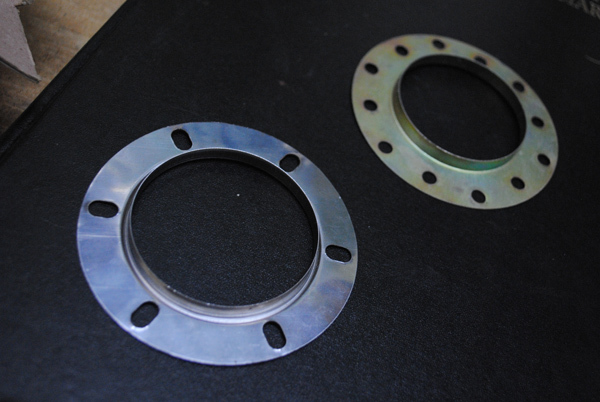 After a quick call to Dan to discuss my problem, we discovered that he actually needed the smaller spacer that was on my wheel, and he also had the larger one that I required. He generously drove to my work where we swapped the items over, and with that done we both had what we needed. 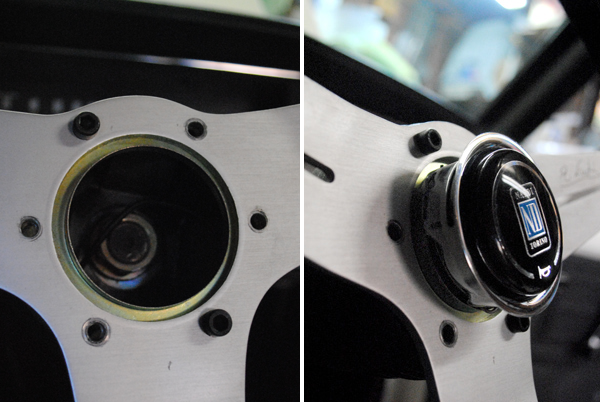 With the new spacer installed, the Nardi horn button could be inserted. Still looked a bit bare though.